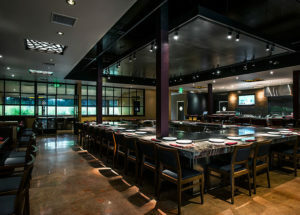 Encore Teppan is a redefined teppanyaki restaurant. Our ambiance is fun, cozy and yet upbeat. Devoted to being the pioneer in the teppanyaki industry, we integrated the largest grill in the United States. It accommodates up to 30 guests comfortably around the grill, making it a great experience enjoying the theatrical show and delicious food with your friends, family and loved ones. 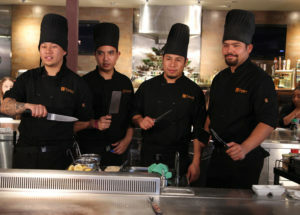 Encore Teppan is a redefined teppanyaki restaurant.Our ambiance is fun, cozy and yet upbeat. 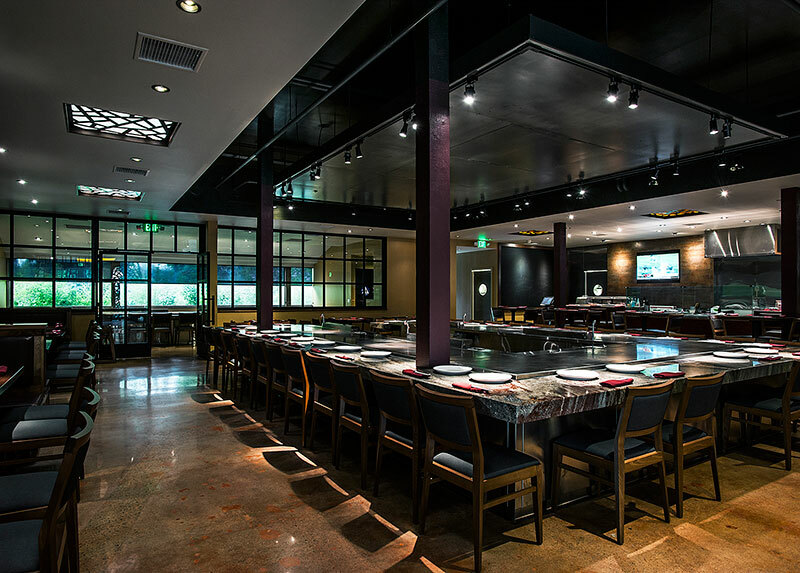 Devoted to being the pioneer in the teppanyaki industry, we integrated the largest grill in the United States. It accommodates up to 30 guests comfortably around the grill, making it a great experience enjoying the theatrical show and delicious food with your friends, family and loved ones. We are thrilled making you feel like this is your home restaurant the moment you walk through the door. Our chefs are energetic and attentive. 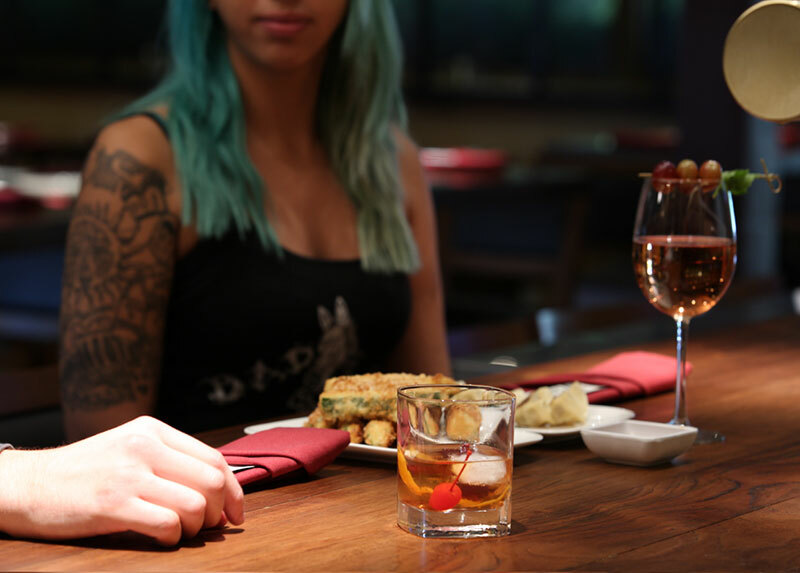 Together, they create a friendly, youthful atmosphere around every table. We are proud of our showmanship and the enthusiasm we put into each plate. Make yourself at home, sit back and enjoy the show. Authentic sushi and exotic drinks have never failed to be a great combination. At Encore Teppan, a reasonable price is a plus. We hand butcher all of our meats and have developed a new style of sushi making. With constant updates to our cocktail list and offerings we boast more than 16 different kinds of draft beer. 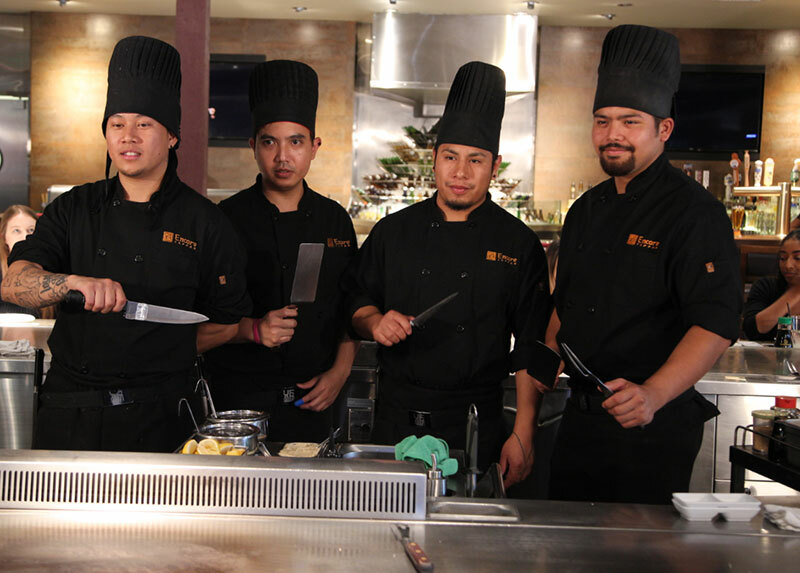 We truly want you to find Encore Teppan a place you can enjoy partying every day.